A viral video, posted on April 12, 2017, depicted parents from Maryland playing a prank on their children. It drew quite a bit of criticism from those who viewed it on YouTube. 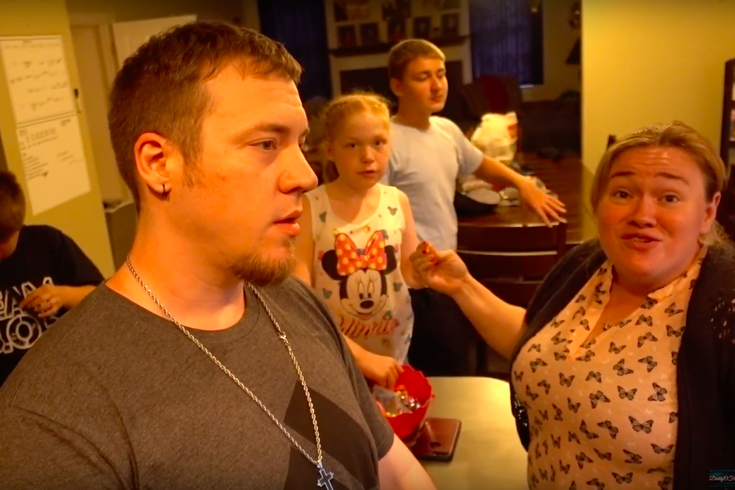 On Monday, Mike “DaddyOFive” Martin and his family’s questionably inspired “prank” YouTube videos entered the public consciousness. That after backlash to a horrible entry that involved Martin and “MommyOFive” Heather profanely berating a youngster for spilling ink on the rug in his bedroom. He cried as he explained he didn’t do it, which they already knew since Heather had spilled the gag-reel variety ink. The reaction was such that the online video hub removed the “INVISIBLE INK PRANK! (EPIC FREAKOUT)” spot by mid-week for “for violating YouTube’s policy on harassment and bullying." The Martins blamed “haters” for misinterpreting “fake” videos that brought their family together for fun and earned them money on the views generated by their 766,000 followers. They even created a video titled “Family Destroyed Over False Aquisations (sic)” to that effect, viewed more than 788,000 times. 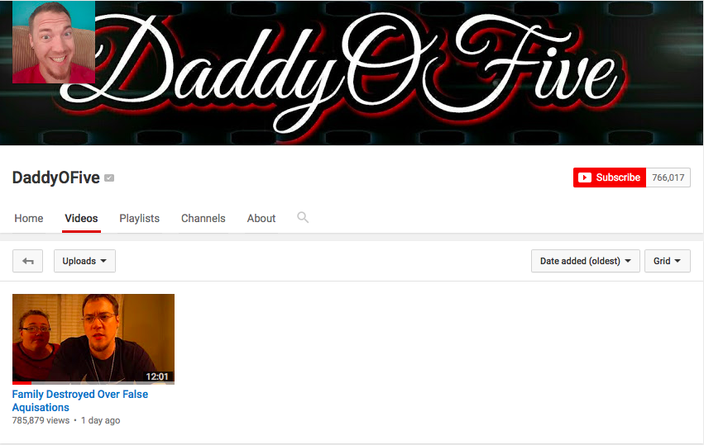 Well, as of Wednesday night, that was the only video available on the DaddyOFive YouTube page as Martin removed them all. The controversial DaddyOFive “gag” videos are no longer available for public viewing on YouTube. Around dinnertime on Wednesday, Martin tweeted an apology to “everyone” amid calls from afar for a child protective-services investigation. “I have taken down/demonetized all videos my family's safety is more important than fake videos,” he wrote, not acknowledging that MommyOFive's page still has a few videos accessible for public viewing. Is this the end of the saga? Probably not, considering some may still be available to subscribers and how the birth mother of two of the children involved has spoken out, but removal of the videos from the public domain is a decent start.